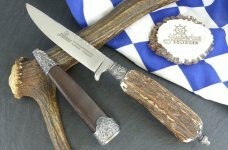 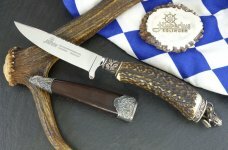 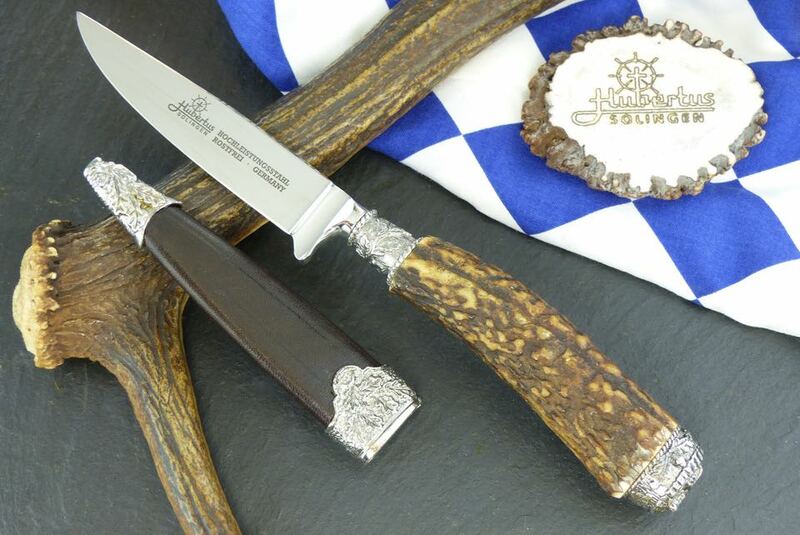 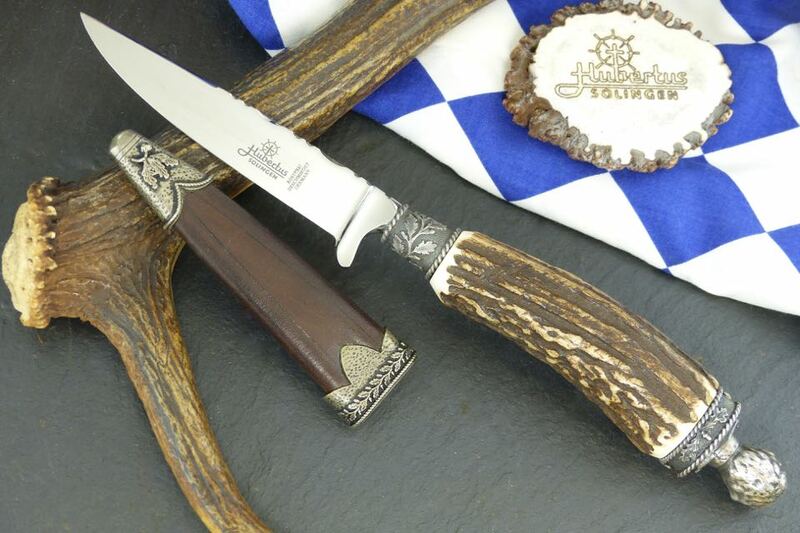 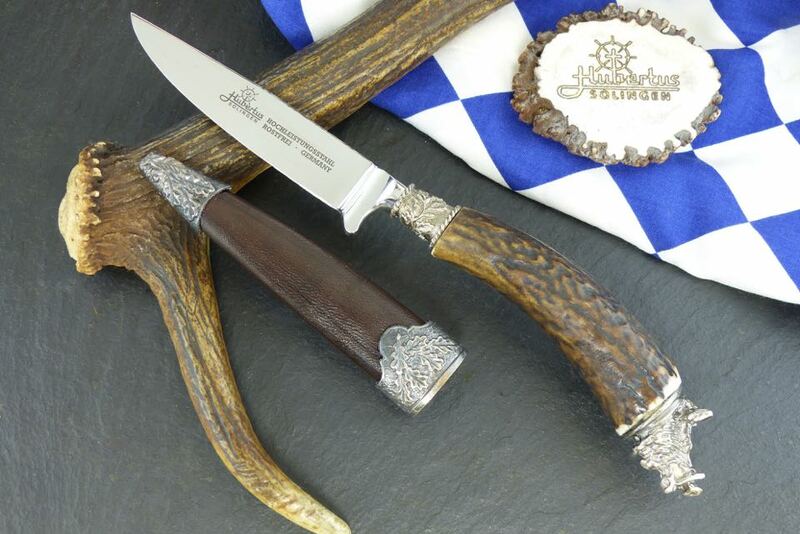 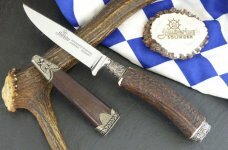 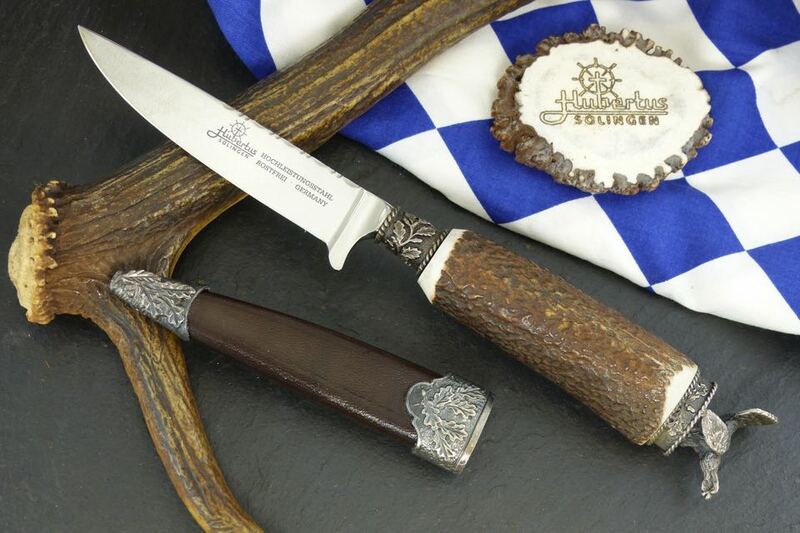 Bavarian dress knife or Bavarian picnic knife are the common English terms for the special type of knife with a fixed blade called Trachtenmesser in Germany. 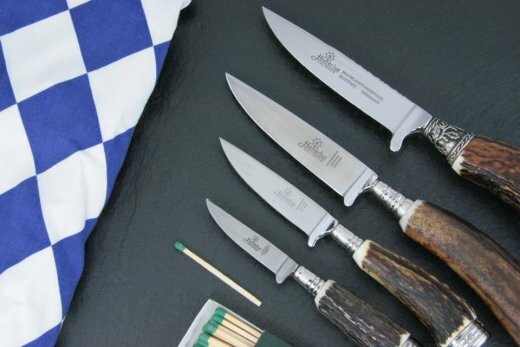 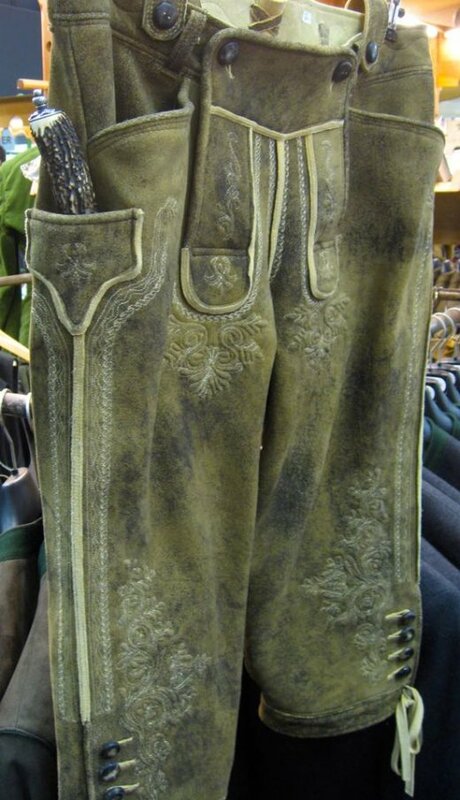 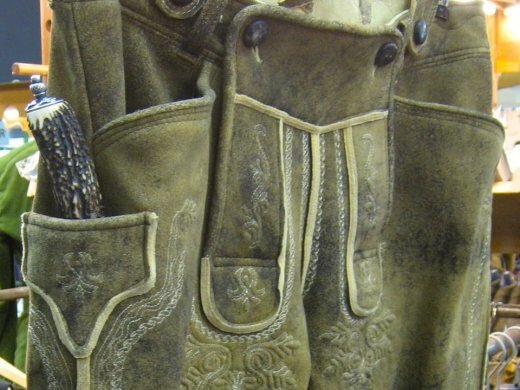 These knives are carried in the right hand side side pocket of a traditional Bavarian leather pant, and just part of the handle is visible while exceeding that pocket. 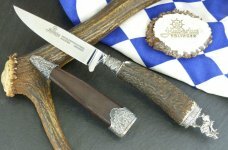 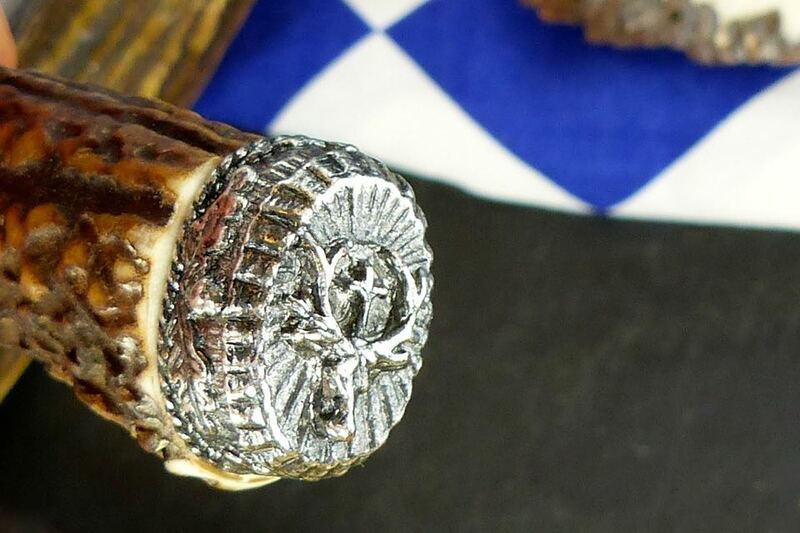 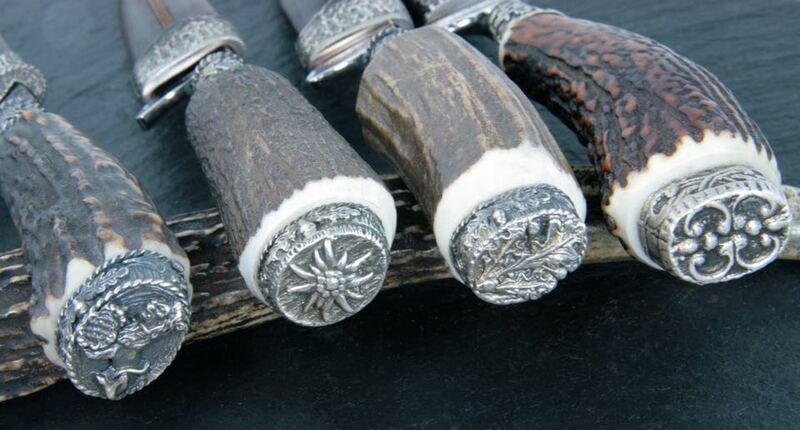 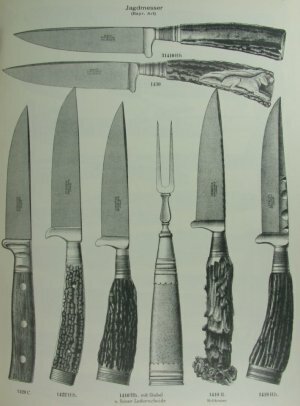 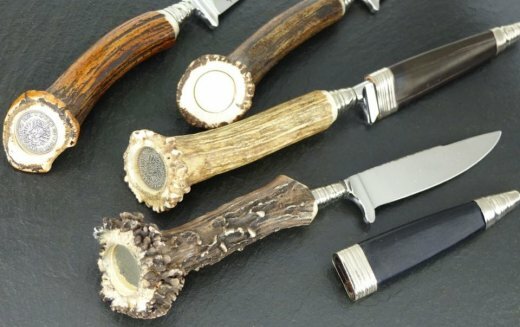 Bavarian dress knives are characterised by the special shape of the blade and in most cases by a decorated ferrule. 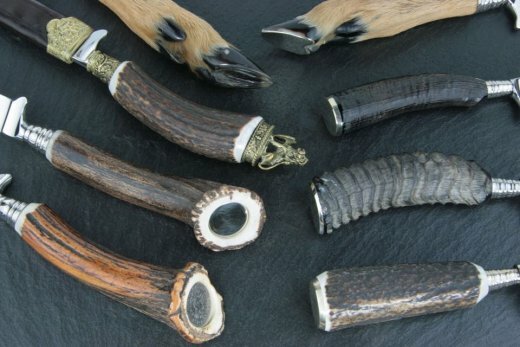 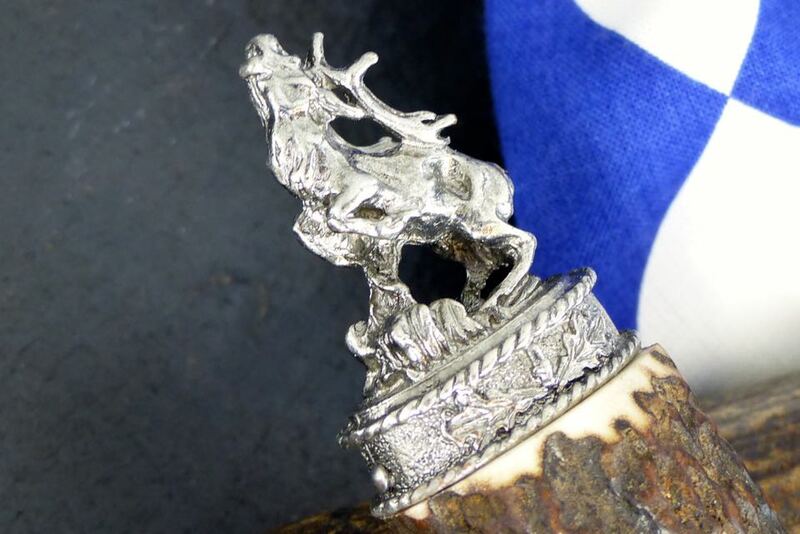 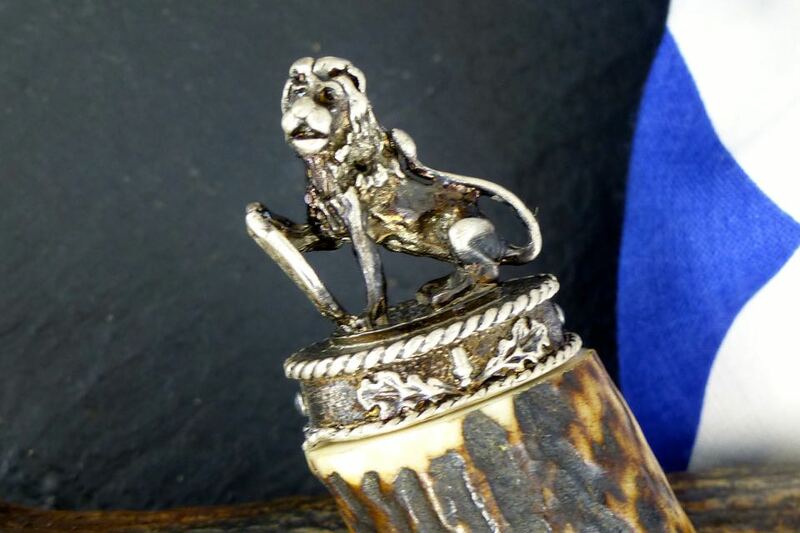 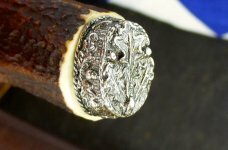 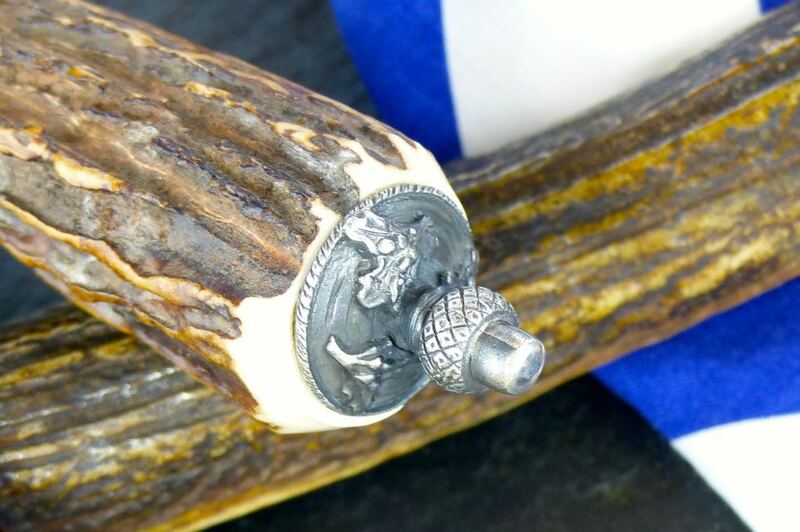 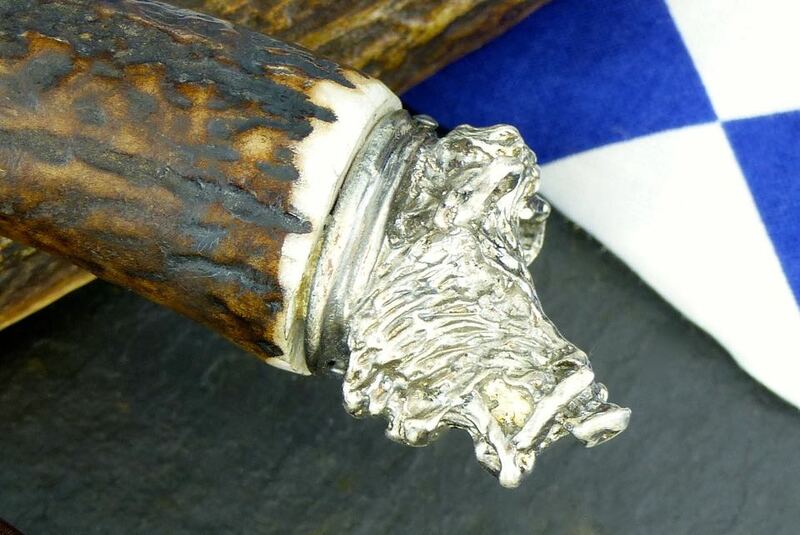 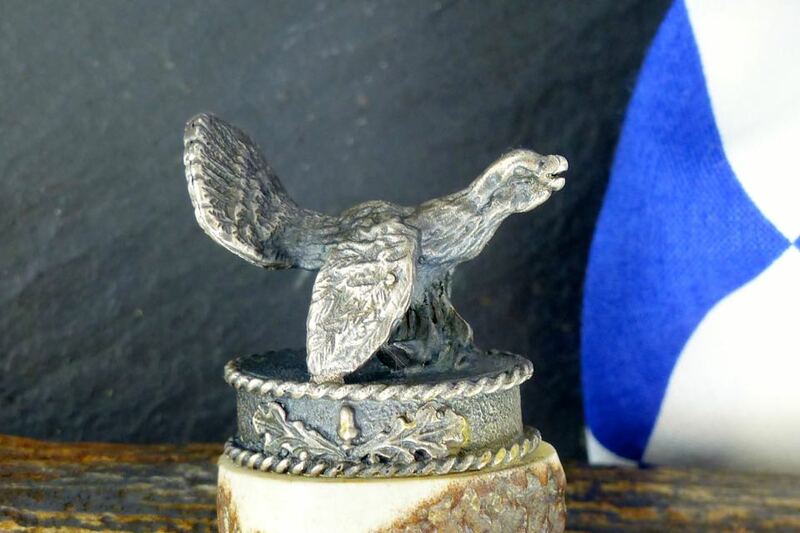 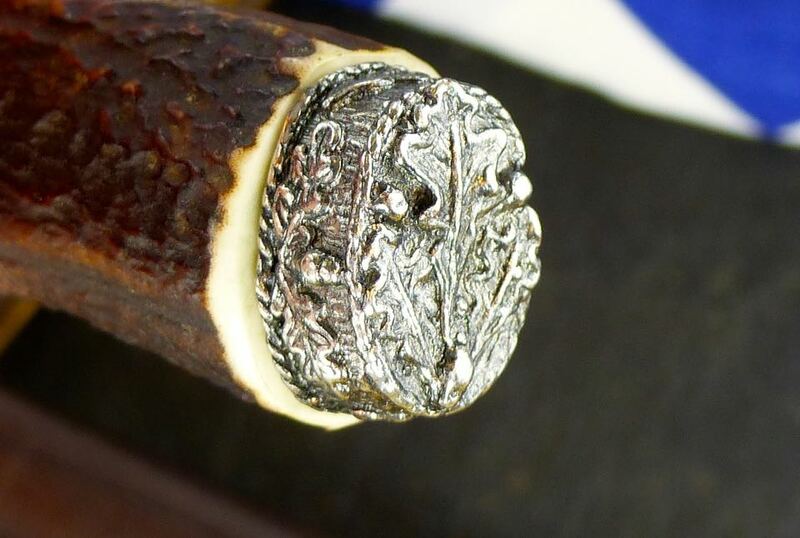 This ferrule constitutes the transition between the blade and the handle of stag horn or other game trophies which is fixed with the tang. A dark brown leather sheath is slided over the blade for reasons of protection. 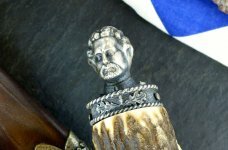 This part of the website is still under construction and will be completed soon. Besides knives with the standard length of the blade of 10 cm we manufacture Bavarian dress knives with a blade length of 5 cm, 6 cm, 7 cm, 8 cm, 9 cm, 11 cm and 12 cm.